The average webmaster in years past did not have to worry about countless elements of customization. The ability to quickly build a website was easy. Search engines would often index said content quickly and with little to no competition, brands were able to quickly thrive. In recent years, search engines have put an increasing amount of pressure on online brands to up their game and adhere to a series of strict protocols. The use of HTTPS certificates for increased security is just one of the latest changes that is shaking up the search engine rankings game. Whether you have already made the transition or are preparing to do so, here is what you can expect after you make the switch from HTTP to HTTPS. Any major change to a website can impact its visibility in search engines, and therefore, its traffic. When making the switch from HTTP to HTTPS, you may experience any number of changes in this regard. 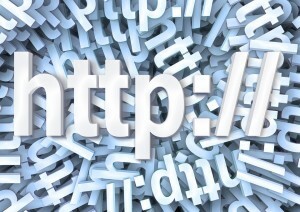 Some webmasters have reported that pinging servers with the new certificate results in a short-term boost in traffic. Others have claimed that traffic took a huge plunge for several days before stabilizing. There doesn’t appear to be a unanimous consensus on what happens when transitioning to a secure certificate, at least in the short-term. Long-term, however, most websites are experiencing an increase in traffic relative to the previous year’s performance – a key indicator that Google is now penalizing websites that do not have secure certificates. When making the switch to a secure certificate, can a website expect to experience any additional SEO benefits? Generally, the answer is no. While many websites have reported an increase in traffic relative to previous years, individual search engine rankings do not appear to shift by any measurable degree. What this may indicate is that overall visibility is nerfed when operating without a secure certificate in more competitive niches, but objective gains in terms of positioning in search does not change. What benefits that are enjoyed should be viewed as an absence of penalties rather than a true benefit. Upgrading to a secure certificate may not result in many direct changes, even if it appears to be the case. Why is this? We must always remember that our websites are constantly pinging servers on Google and Bing with new content. Likewise, these search engines are constantly assessing and reassessing our websites, and reassessing the ways in which they assess us in the first place. Several changes to search engine algorithms each year – along with the dynamic nature of competition – can all play a role in whether traffic increases or decreases, or whether rankings change for better or worse. Because of this, any changes experienced in the midst of an HTTPS upgrade may have less to do with the certificate itself and more to do with a variety of organic and uncontrollable factors. There is a need over the long-term to transition to an HTTPS certificate – especially if you are in a competitive niche. Some fluctuations in traffic are to be expected during the transition, but do not let this scare you from making what will soon be a nearly-mandatory adjustment to your website.